Q. The bulk of the savings in our country is today moving into unproductive assets like gold. What steps is Sebi taking to increase market participation and channel domestic savings into equities? A. Savings are channelled into productive sectors of the economy if two to three requirements of investors are met. First, there should be good oversight and supervision where they are putting their money. Trust has to be developed. Secondly, they look for a convenience factor in investing. Thirdly, they look for the outcome or return, which Sebi cannot guarantee. It is difficult to predict where the market is heading. Sebi, as per its mandate, has been working very seriously towards building trust and making it easier for investors to invest. We have set up a computerised investors' grievance redressal mechanism. That system can dispose off almost half the complaints we receive in less than 30 days. We have provided investors' helplines in 14 languages. We have started investors' awareness campaigns in smaller places such as Ranchi, Patna, Varanasi and Jaipur. In order to make it simple to invest, we have started a KYC (know your client) registration agency. Earlier, an investor was required to go for multiple KYC requirements for dealing with Sebi-regulated intermediaries such as a stock broker or a mutual fund. Now, a single KYC registration will be applicable for all transactions in the capital market. We also have taken a number of measures for the mutual fund industry. We have decided to compensate fund houses more if they go to cities beyond the top 15. We have allowed people without a bank account or permanent account number to invest up to Rs 20,000 in cash. Q. Are you worried about the under-performance and the health of the mutual fund industry? A. The mutual fund industry's performance has been very good. It is wrong to say they have not done well. To give you an idea, over a five-year period, funds with 70 per cent of assets under management (AUM) have done better than the comparable indexes. Let us not create an impression that the mutual fund industry hasn't done well and then force investors to play in the secondary market. However, we have been pressuring and monitoring the fund houses whose schemes are not performing well. We have said they should improve or we will take action against them. Q. Is trust a big factor for the limited participation of retail investors that we see in the Indian stock market? Q. Do you feel compliance by companies has been improving because of Sebi's vigilance? A. We cannot control human nature. We believe that we can be a very important deterrent. That is our task. I will leave it to you to judge whether we have been successful over a period of time or not. We have a very strong surveillance mechanism. We get hundreds of alerts every day. Each alert is followed up to the end. We are getting real-time integrated data across multiple exchanges. On the investigations front, we have taken action against people, for example, those who were misusing global depository receipts issues. We have taken action against some people who were manipulating the IPO market. We have banned some merchant bankers. We have taken steps to reduce stock volatility on the day of listing. Earlier, certain people took advantage of the huge swings on the opening day. Now, we let the price discovery happen in a one-hour window before the market opens and then there is a regular trading band that operates. In fact, there is no volatility in IPOs ever since we have introduced this system. Q. You have taken action against merchant bankers and promoters, but what about independent directors and auditors? A. We have put independent directors on notice. We have started proceedings against them. But we want to satisfy ourselves that they were actually involved in the decisionmaking process. Our effort would be first to take action against whole-time directors and employees who were involved in decision-making. Q. Could you elaborate on Sebi's new consent mechanism to settle disputes? A. We have prescribed that certain violations are very serious and that we will not allow settling such cases through consent. We will not allow it in cases of insider trading and in cases of front-running in mutual funds. We have allowed only certain smaller offences which can be settled through our consent mechanism. The amount is not important here. It is conceptually or philosophically the severity of the crime which is important. Our consent mechanism says if there have been market manipulations or unfair trade practices and such a material violation affects retail investors, then we will not settle through consent. Q. Do you think there should be multiple stock exchanges in the country or only twothree large ones? 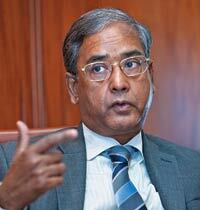 A. Sebi has no view on the number of stock exchanges. It will be a factor of several things such as the functioning of stock exchanges, securities traded, interest of general public in trading, products allowed, etc. Our view is that whichever stock exchange is running, it should not be a matter of risk for the country. We have prescribed strict regulations such as minimum capital of Rs 100 crore, clearing corporation fund of Rs 300 crore and the daily average turnover of Rs 1,000 crore. Also, governance of stock exchanges is very important. So we have provided that 50 per cent of directors should be independent. There has to be a remuneration committee and an audit committee. We have also said that a certain amount of profit of the exchange should go to the clearing corporation because the settlement takes place there. If exchanges are willing and capable of meeting these requirements, they are all welcome. Q. There were some allegations of irregularities by some exchanges, such as the United Stock Exchange, and Sebi cracking down on them. Please elaborate. A. Your information is correct, but I do not want to talk about any individual stock exchange. We crack down very seriously wherever we find any stock exchange indulging in malpractices. Q. Sebi has taken action against companies, such as the Sahara Group, which raised funds in violation of the law. Some of them have approached courts. How do you react? A. There are companies which have either been defying the law or taking advantage of certain lacuna in three-four laws or three-four authorities. They have been able to raise thousands of crores from investors. We have recently taken a series of measures against many companies in West Bengal. We have banned them from raising money, asked for their books of accounts, and directed them to register under the regulations for collective investment schemes. Obviously, they are seeking legal remedies in their own possible ways. If people have been able to raise money in the past in violation of the law and if there is an order of the honourable Supreme Court, Sebi will implement that order. I don't want to name any company, but whatever be the volume or dimension, it is Sebi's duty to carry out the orders of the Supreme Court. Q. Do you think enough is being done on composition of boards? A. Sebi has a listing requirement for companies whereby some governance requirements are mandatory and some are voluntary. We are implementing and monitoring the mandatory requirements. The mandatory requirements are being met. But as an individual I'm concerned whether some of these compliances are only in letter or also in spirit. Take, for example, the appointment of independent directors. What sort of independent directors do we have? What sort of training we provide to them? I don't think we are very happy about the state of affairs. How do we improve it? We have been trying to educate people as well as companies that Sebi would insist on following the guidelines. But we thought the best way to do it is to put pressure on management and the promoters through institutional investors. Mutual funds, for example, must have a voting policy. Now, as compared with one or two years ago, we have seen that mutual funds are opposing resolutions. They are becoming active. We want them to be active because they are representing millions of investors in their funds. Another encouraging development is the emergence of proxy advisory firms that examine the resolutions proposed by companies and advise investors. This is now picking up as a movement in the country. I am sure there will be pressure on companies with these two things put together. We would like all companies to implement corporate governance standards that stock exchanges have to follow. We do not want to do it in a disruptive manner. But we are trying to create awareness that it is good and it is in the interest of companies that they should also follow higher corporate governance standards. Q. What about executive compensation? A. For stock exchanges, we have said that there should be a remuneration committee of the board to decide compensation. The committee should be headed by an independent director. We have said no to stock options, and that performance bonus cannot be more than 50 per cent of fixed pay. The bonus should be decided by the committee based on the long-term growth plan of the company. If the company starts performing badly, this bonus can be clawed back. My wish is that such a model is adopted by all companies. But I don't want to force it now. I want it to evolve over a period of time. Q. Why not implement it now for all companies? There is a need to hurry up some of these reform measures. A. There is a need that all children are properly educated and have best nutritional standards. But can we do it? There is a time requirement. 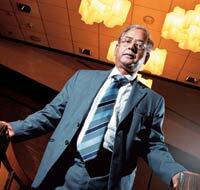 Sebi's job should not be to do something which is perceived to be impractical or disruptive. These are measures on which consensus has to emerge. Q. Given the current difficult market conditions, do you think companies will be able to meet the June 2013 deadline of 25 per cent minimum public shareholding? A. That is their problem. Can you predict when the market will be good or bad?